Mid-latitude storms belong to the main natural hazards affecting Europe, and can have devastating socio-economic impacts. However, the processes involved in their intensification and generation of disastrous impacts such as widespread wind damage and flooding are not fully understood. Initiated in 2011, the European storm workshops series aims at bringing together dynamical meteorologists, climatologists, statisticians, stakeholders and risk model developers from insurance and engineering consultant companies. These interdisciplinary workshops try to bridge state-of-the-art breakthroughs in sciences to the practical implementation in risk modelling. 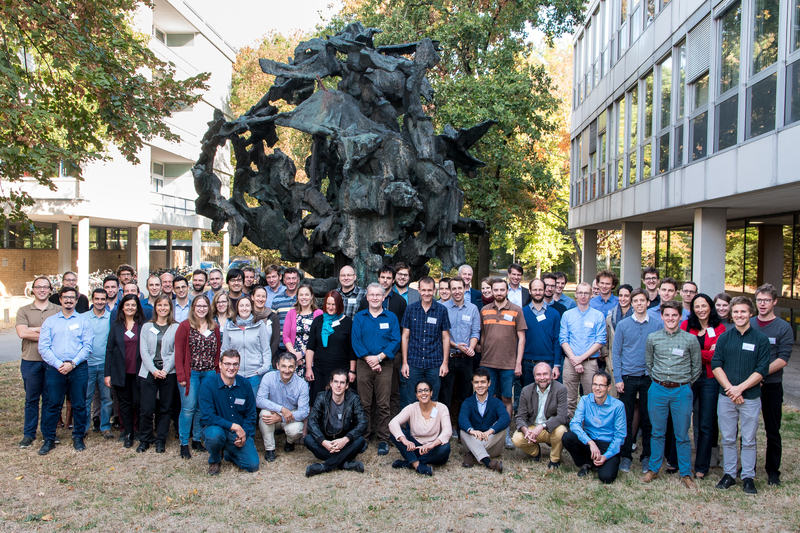 The 7th European Windstorm Workshop took place between October 10th-12th 2018 at the Karlsruhe Institute of Technology in Karlsruhe, Germany, at Campus South. Over 60 international participants from 10 countries (mostly European but also including a few American colleagues) discussed the latest results and developments in windstorm research and applications. Among the participants, 26 non-academics contributed to the workshop. The workshop included a total of 19 plenary talks and 11 posters split into 3 sessions, addressing academic and non-academic topics: (1) dynamics of European windstorms, (2) predictability and variability from weather to climate timescales and (3) windstorm risk and insurance collaborations. In addition to the oral and poster presentations, plenty of opportunities for exchange and discussions were provided during breakout groups, as well as during coffee and lunch breaks, and the conference dinner. Highlights of the workshop include keynote lectures for each session. These were given by speakers from leading academic institutions and the insurance business. Helen Dacre (University of Reading) showed new results on how extreme precipitation accumulations associated with extratropical cyclones can lead to inland flooding. Particularly, she emphasized the role of interactions between atmospheric rivers and extra-tropical cyclone airflows for these extreme precipitation events. Aiko Voigt (KIT) illustrated the importance of cloud-radiative interactions on the mid latitude atmospheric circulation. Understanding these interactions is crucial for an adequate assessment of climate change projections, where clouds are the largest source of uncertainty. Alan Whitelaw (CGI IT UK Limited) presented the operational windstorm service for the insurance sector provided by the Copernicus Climate Change Service. An extended database of windstorm tracks and high-resolution wind footprints is made available based on dynamical or statistical downscaling of atmospheric reanalysis products. Finally, future directions and emerging topics were debated in 3 breakout groups dedicated to (1) the relative importance of the different air flows associated with windstorms for total property damage, (2) advances we can expect to make in the next 5–10 years in terms of understanding the impact of climate change on European windstorms, and (3) validation and calibration methods of extreme storms given the limited sample size of the historic record. The breakout discussions revealed that open questions were often shared between academia and the insurance business, thus highlighting the need for sustained collaborations. A consensus was clearly reached to keep organizing future workshops. The program and presentations are available on the website of the European Windstorm Workshop series. The next workshop will take place in 2020. If you would like to be informed of the developments please register to our met-windstorm mailing list.